Hey All! I'm back with a comparison post. 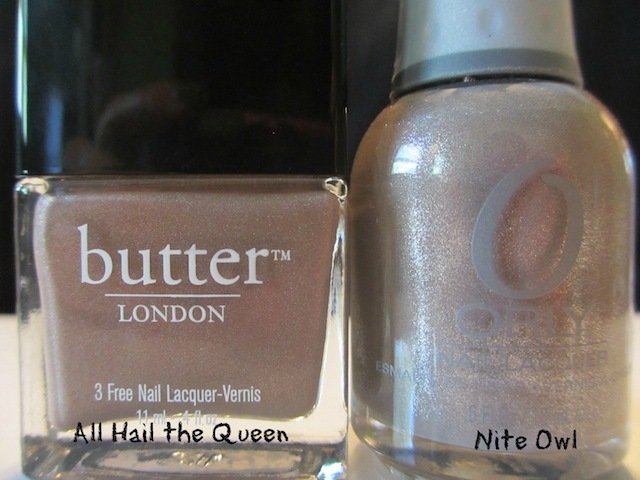 I would like to show you my comparison between Butter London All Hail the Queen and Orly Nite Owl. In my opinion, you don't need both of these shades. The difference, if you want to get technical (and we nail polish junkies tend to want to), is that All Hail the Queen has very subtle iridescent particles. However, I have a hard time seeing them without analyzing them in the perfect light and at the perfect angle. Nite Owl's shimmer is silver. As far as application goes....All Hail the Queen is a bit more opaque. I could still see some visible nail after one coat of Nite Owl, and AHTQ could be ready to go in one coat, if you prefer. I am a big fan of both of these polishes. If I could only pick one, I would pick Orly Nite Owl because I am a big fan of silvery shimmer. Also, the price of Orly is a lot more reasonable than Butter London ($14). 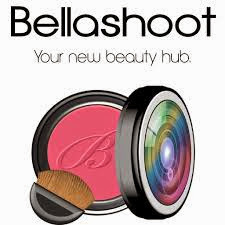 You can find both of these at Ulta. Orly can also be found at Sally Beauty Supply. I hope you are having a wonderful weekend and I am happy to be back! I like both of these both of polishes (but own neither) so thanks for this comparison! Oooo this is awesome! I've been eyeing "All Hail the Queen," but "Nite Owl" is definitely cheaper and I can get it at my local Sally Beauty! Thanks for the comparison! This is good to know. I've always wanted All Hail the Queen, but when I got Nite Owl I didn't realize it was a dupe. So glad I didn't get the Butter too now! Good, glad I could be of service. If you want to get really picky, they are a bit different, but not enough to warrant both...at least I don't think. I have both. Didn't realise they were that close. Totally keeping both of them though. They are so similar, but I would probably go with Orly too because of the price! Great post! I have that Orly and wanted All Hail the Queen!